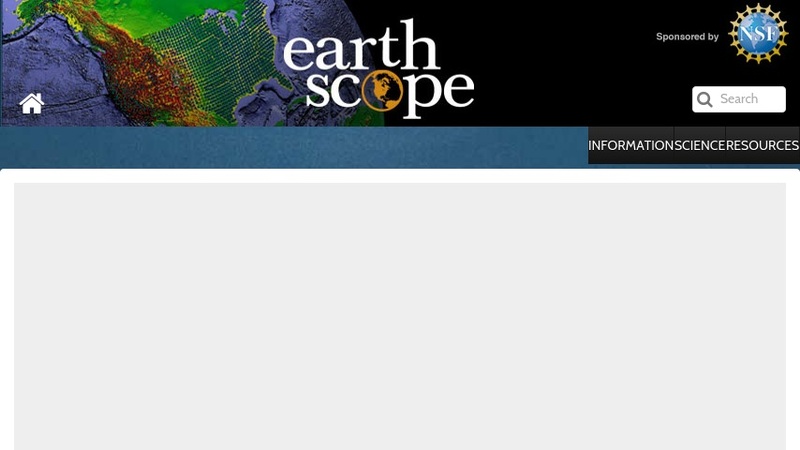 EarthScope is an Earth science program to explore the structure and evolution of the North American continent and to understand the processes controlling earthquakes and volcanoes. Site materials include an overview of the program, quarterly reports, an image gallery, and document archives. There are also descriptions of specific EarthScope initiatives: the San Andreas Fault Observatory at Depth (SAFOD), Plate Boundary Observatory, and USArray Seismic Observatory; and the instruments used in gathering data for these programs. The Data Access page provides datasets and tools for analyzing seismic, GPS, and strainmeter data, as well as materials (cutting and mud sample reports, core logs, lithological reports) from SAFOD. The Education and Outreach page provides information on upcoming workshops and professional development opportunities, and educational products and tools that use EarthScope data.